There is no project too small for us to accept or too large for us to complete. At B&B Electric, we're experienced commercial electricians and have both the expertise and the manpower to provide expedited service while maintaining quality and attention to detail. 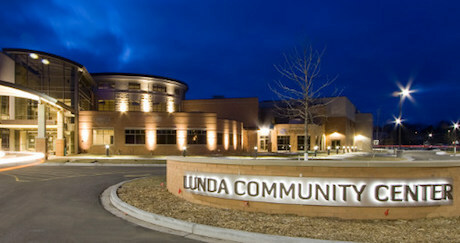 Many large commercial customers ask if we can design and build their projects for them and the answer is yes! Our project managers are fully qualified to both design and install the electrical system that is right for your commercial project. Fast track your project with our efficient commercial electrical services. We have the manpower and expertise to expedite your project while maintaining quality and attention to detail. From small retail spaces to sports stadium lighting, we have the expertise and manpower to take on your project as your commercial electricians, regardless of size or scope. Our commercial electricians and project managers are fully qualified to both design and install the electrical system that is right for your next commercial project. 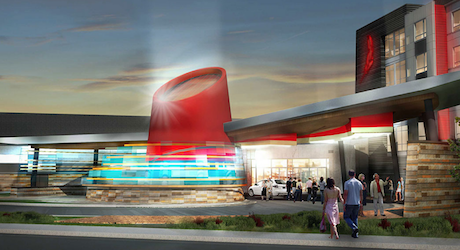 The Ho-Chunk Nation recognized the need to update their existing Wisconsin gaming properties to better meet the needs and expectations of their patrons, while creating a gaming destination that will generate pride within the Nation, create economic opportunity and stability, and support tourism. Woodman’s was an established grocery store from Southern Wisconsin, and had been considering a new store in the Eau Claire area. 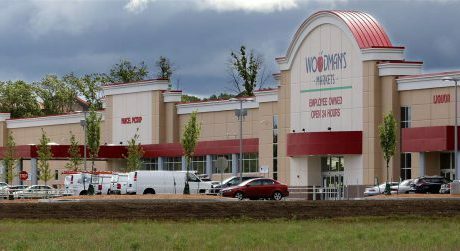 Woodman’s began construction on a 240,000 square foot building in the River Prairie development in 2015. The community of Black River Falls needed a new community space that would provide organizations adequate meeting space, new gym space for the school district, and would provide new and affordable amenities for the community. See our recent commercial projects and see what’s possible for your next project.